The Naviglio Grande and the Naviglio Pavese located in the dock in Porta Ticinese are two ship canals dating from the second half of 1100. Other channels take part of the Navigli of Milan, Martesana, the naviglio od Paderno, that of Bereguardo and the canals of Muzza and Villoresi. But the Navigli, where it is possible to spend evenings sitting outside and listening to live music, eating in restaurants or historic multi-ethnic takeaways, are the Pavese and the Grande. 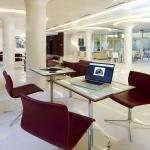 In the area, also many possibilities of accommodation in small hotels and pensions. 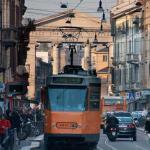 Select travel dates and find all available hotels in Milan - Navigli, check out guests reviews and locate properties on Milan city maps, book your favourite accommodation with no pre-payment. All rates are in Euros and inclusive of all taxes. 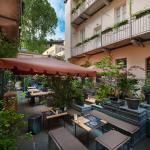 The Art Hotel Navigli is one of the best 4 star hotels in Milan. Ideal for both business and leisure stays, it is situated in the characteristic Navigli district just steps from the subway station Porta Genova. 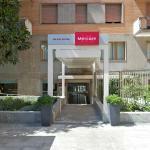 Hotel Mercure Milano Solari is in a convenient location in Milan, close to the Solari Park and within walking distance from the Metro station Sant'Agostino, thanks to which you can easily reach the Central Station. 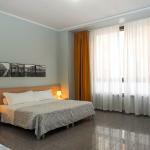 The B & B Hotels Navigli is located in the romantic Navigli area in Milan. Nestled in a courtyard, it stands a short distance from the metro stop Porta Genova, which allows quick travel throughout the city.